A warm welcome to The Weald School of Dance! 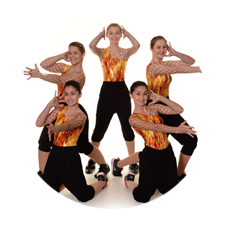 Established by Miss Carole Gould, in 1968, originally as a ballet school offering RAD ballet to all ages, the school has grown and is offering more and more exciting dance opportunities, while retaining the personal feel of a small school. 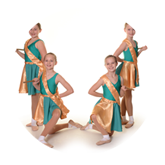 Miss Gould has since been joined by Miss Kiki and a wide range of dance classes are now on offer. We feel it is important for parents to have the opportunity to watch their children dance regularly, to see their progress for themselves. This could be either at an end of term demonstration, ‘parents watching week’ or the annual show. Children are also offered the chance to dance at local fetes in the summer and love the excitement of performance. Exam sessions are held once or twice a year and the societies we have chosen to follow (R.A.D and I.S.T.D) ensure the pupils are examined to a high standard and the results are well earned. Although most of our pupils opt to take exams, they are not compulsory. We are pleased to use the following venues for our classes; Langley Village Hall and Sutton Valence Village Hall each if which provide a good dance space and ample parking. We are very proud of our school and constantly strive to offer the very best dance education. All our teachers consider continual professional development very important in order to keep up to date with the syllabuses we follow and current teaching methods. This together with the love and passion we have for what we do makes for a positive and happy journey into the world of Dance.